With a fabulous range of homemade cakes to choose from it wasn’t a surprise that there was very little left at the end of the morning. A beautiful iced fruit cake was also contributed by Julia Ginger for ‘Guess the Weight of the Cake’, which was won by a delighted Olga Freely! We are very grateful to everyone who gave up their time to bake cakes and especially those who came along and donated. We are delighted to announce that together we raised an incredible amount, close to £600 for this worthy cause. Further pictures of the event can by found in the Gallery. 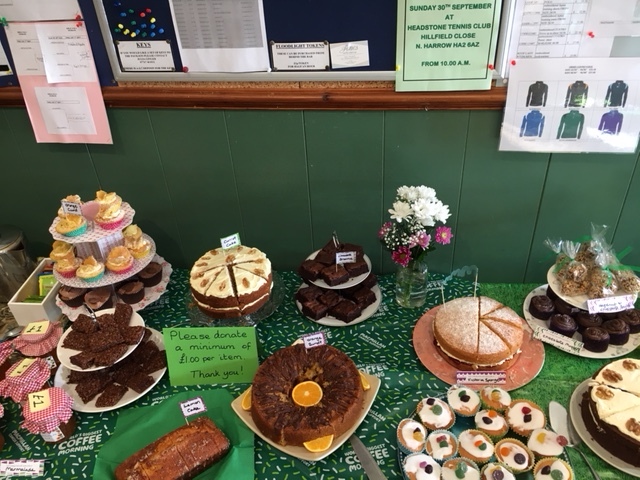 Share the post "Macmillan Coffee Morning 2018"